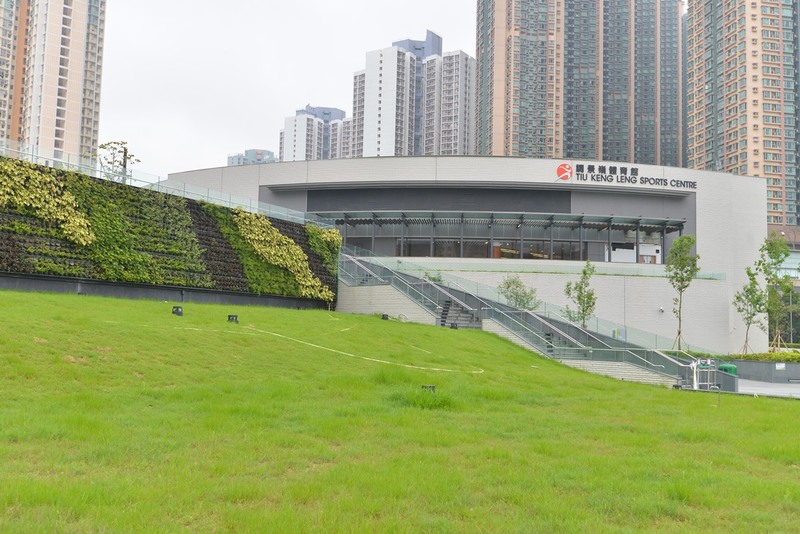 Tiu Keng Leng Sports Centre, located at 2 Chui Ling Road, Tseung Kwan O, was opened to the public on 23 April 2015. The wide range of leisure facilities provided in the sports centre are available for hire by individuals and organisations. A variety of sports and recreation programmes are also offered every month for public participation. 1 multi-purpose arena which can be converted into 8 badminton courts, 2 basketball courts or 2 volleyball courts. 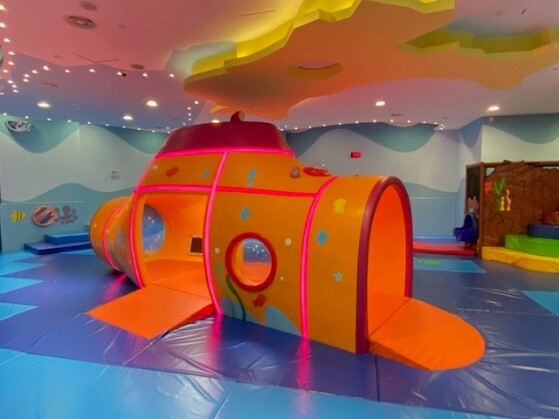 6 multi-purpose rooms (including 2 rooms with 3 table-tennis tables in total, 2 small activity rooms each with an area of about 95 m2, and 2 large activity rooms with areas of about 215 m2 and 230 m2 respectively for activities like dancing and yoga) (Ancillary facilities: Wall mirrors, dance bars, gymnastic mats and sound equipment.). 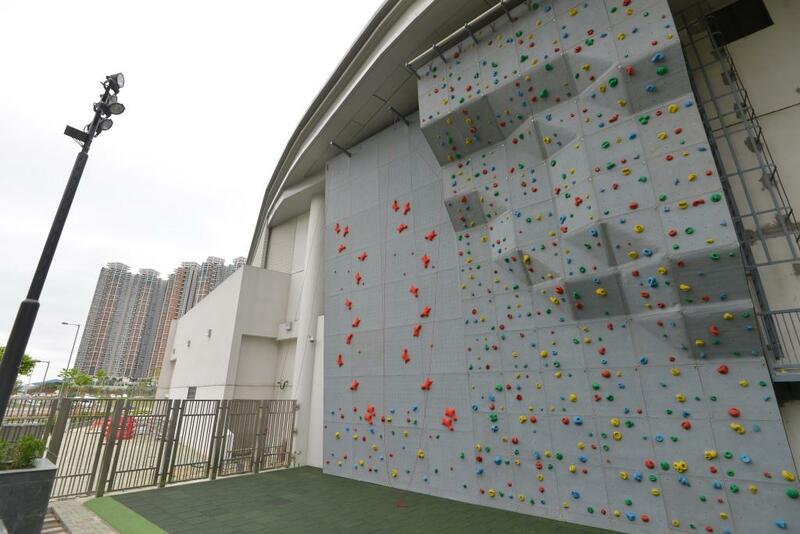 1 outdoor sport climbing wall with 3 lanes of different levels of difficulty and 2 lanes for speed training (users are required to possess the qualifications recognised by the relevant National Sports Association). 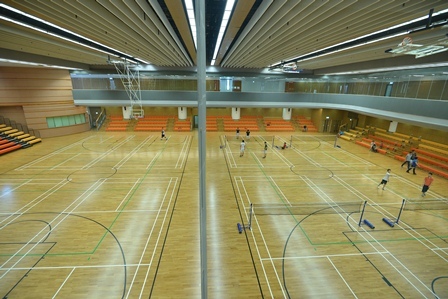 An indoor jogging track of about 150 m in length. 1 fitness room of 285 M2. Men's and ladies' changing rooms and toilets . Barrier Free Facilities: Accessible Toilet, Accessible Lift (with Assistive Listening System), Tactile Guide Path, Visual Fire Alarm System, Braille Directory Map/Floor Plan. A two-tiered district open space of one hectare in size, which provides an array of facilities, including a landscaped garden, a lawn, an elderly fitness corner, fitness stations and a children’s playground. 1 fee-charging car park with parking spaces for 13 private cars and 9 motorcycles (including 1 accessible parking space).